What is Life Care Planning? Life Care Planning is a holistic, elder-centered approach to the practice of law that helps families respond to every challenge caused by chronic illness or disability of an elderly loved one. 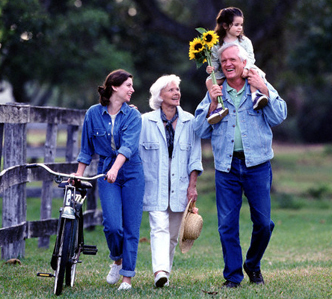 The goal of Life Care Planning is to promote and maintain the good health, safety, well-being, and quality of life of elders and their families. Elders and their families get access to a wider variety of options for care as well as knowledgeable guidance from a team of compassionate advisors who help them make the right choices about every aspect of their loved one's well-being. Life Care Planning Law Firms rely on an inter-disciplinary team that works to identify present and potential future care needs, locate appropriate care, and ensure high-quality care. This approach relies less on crisis-oriented transactions and more on the development of on-going relationships with families. Life Care Planning Law Firms use a model called the Elder Care Continuum to help families understand the natural progression of aging and its impact on a loved one's health, mobility, housing, and financial resources. Your initial meeting with a Life Care Planning Law Firm may focus on your loved one's place on each line of the Elder Care Continuum. Gaps in care can then be identified and solutions discussed for closing those gaps. When your customized Life Care Plan is developed, it defines, organizes, prioritizes, and mobilizes every aspect of your loved one's care, to allow him or her to maintain the quality of life that he or she desires.